After Real Madrid superstar, Luka Modric ended Lionel Messi and Cristiano Ronaldo's 10-year dominance of the Ballon d'Or, the Croatian revealed what Zinedine Zidane told him about the award in 2016. The 33-year-old has replaced Ronaldo as the new Ballon d'Or holder, receiving 753 points and beating the Portuguese superstar by 277 points. 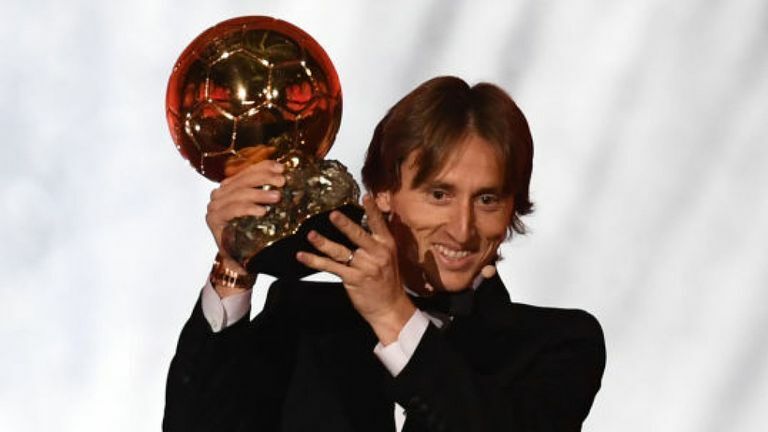 In an interview with France Football – the presenters of the famous Golden Ball – after picking up his prize, Modric recalled a conversation with Zidane when the Frenchman became Real Madrid boss in 2016. Zidane, who won the award himself in 1998, seemingly believed back then already that the midfielder had what it takes to lift the individual accolade one day. "There wasn't a specific moment where he told me: You can win it," Modric told France Football. "When I recounted all of the individual trophies that I've won this year and when I saw that I was among the 30 finalists, I began to believe it, but there's one thing I'll never forget. "When Zidane became Madrid coach in January 2016, he called me to his office one day after training and told me how he saw me as a player and what he expected of me. "He told me that I was an important player for him and, above all, that he saw me as a player who could win the Ballon d'Or. When someone like Zidane, with all of his personality and history, tells you that, it boosts your confidence. "I admired him and respected him enormously as a player, he saw me as someone like himself, quiet and a bit shy, he expected me to express myself more on the pitch, to open up. "He needed me to be a key part of the team in an era when we were truly playing well. Those words from Zidane helped me to go further in my play. Even in spite of his words, I didn't begin to believe it." Modric is the first Ballon d'Or winner other than Messi or Ronaldo since Ricardo Kaka claimed the coveted award in 2007.